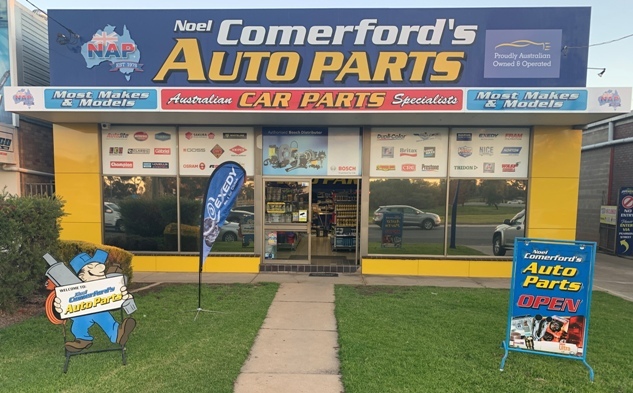 In December 2015 Noel Comerford’s Auto Parts, Paint and Accessories decided that it was time to update it's shop front. 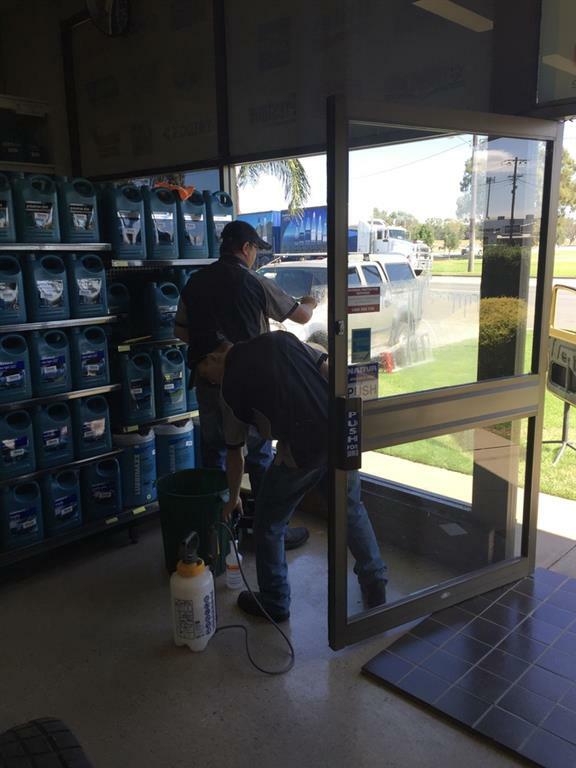 We used Precision Signs who did a fantastic job. 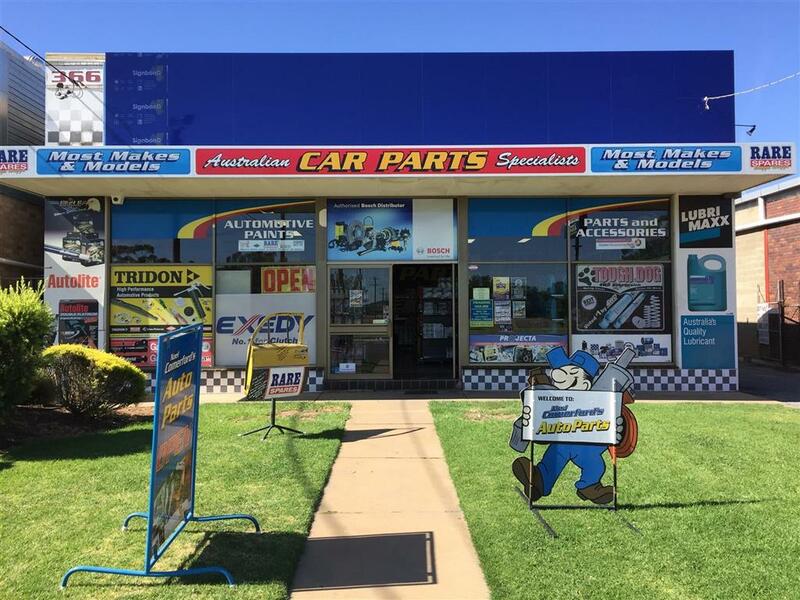 Many thanks to all the team. 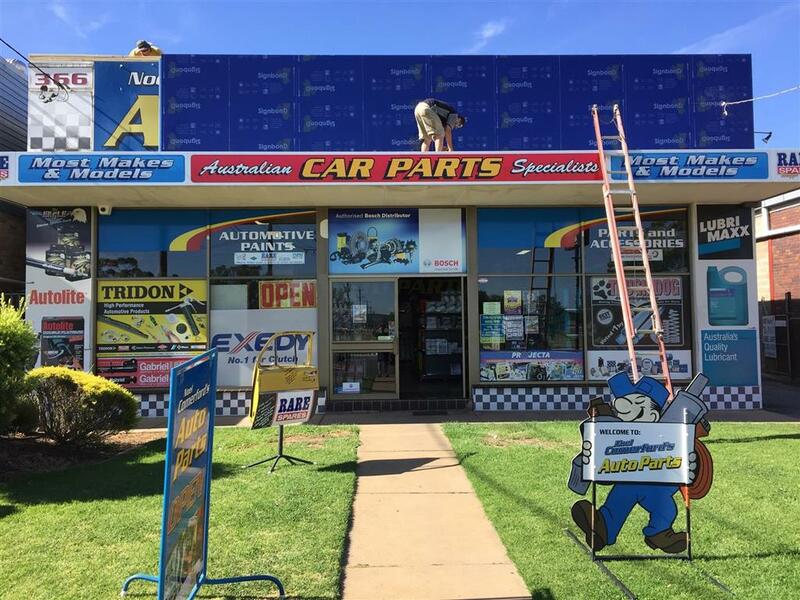 You can see the progress pictures below. 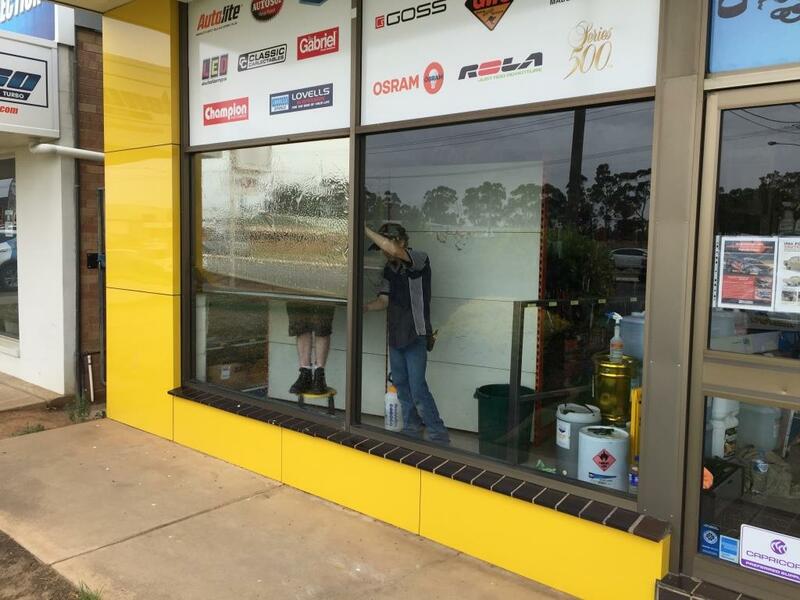 Thanks to Rowan and the team at the Solar Tinting Centre in Wagga Wagga for the great tinting job on our windows to put the final touches on our new shop front.. 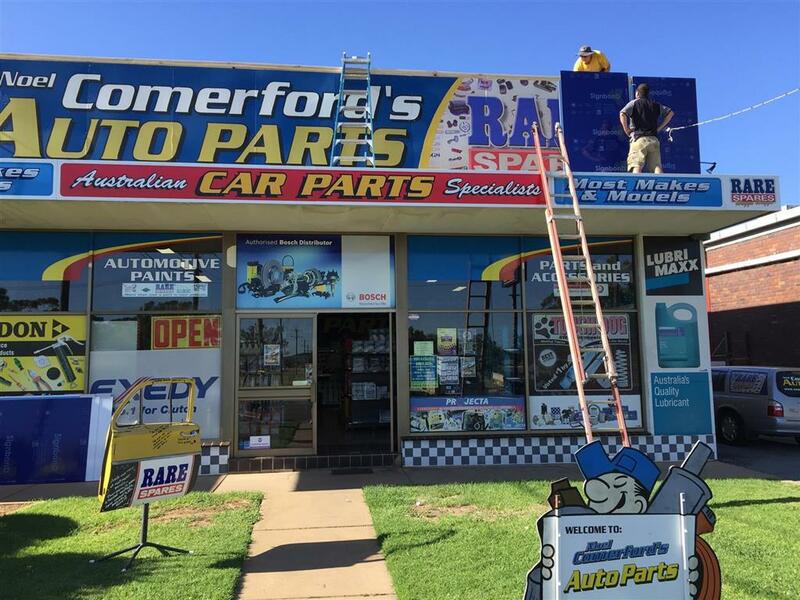 In 2010 Noel Comerford’s Auto Parts, Paint and Accessories decided that it was time to update it's shop front. 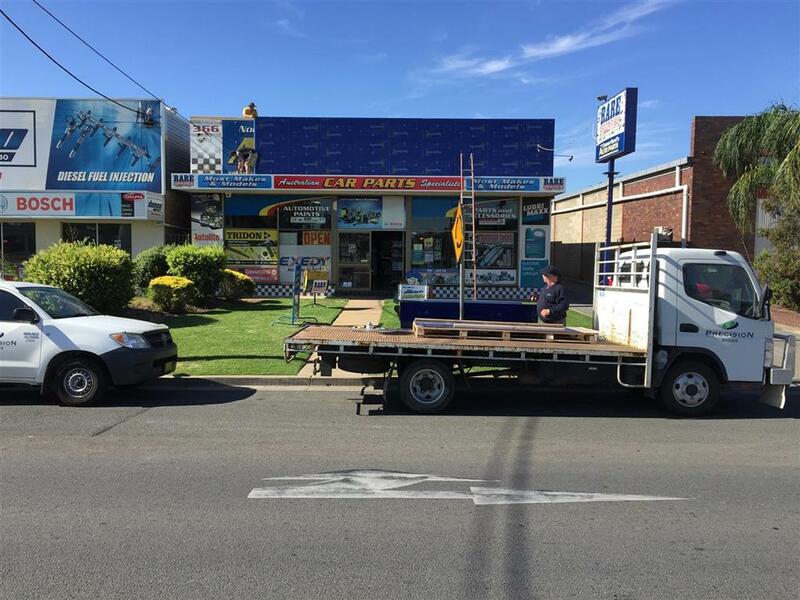 The canvas signage which was installed in 2005 was very disappointing and faded very quickly. 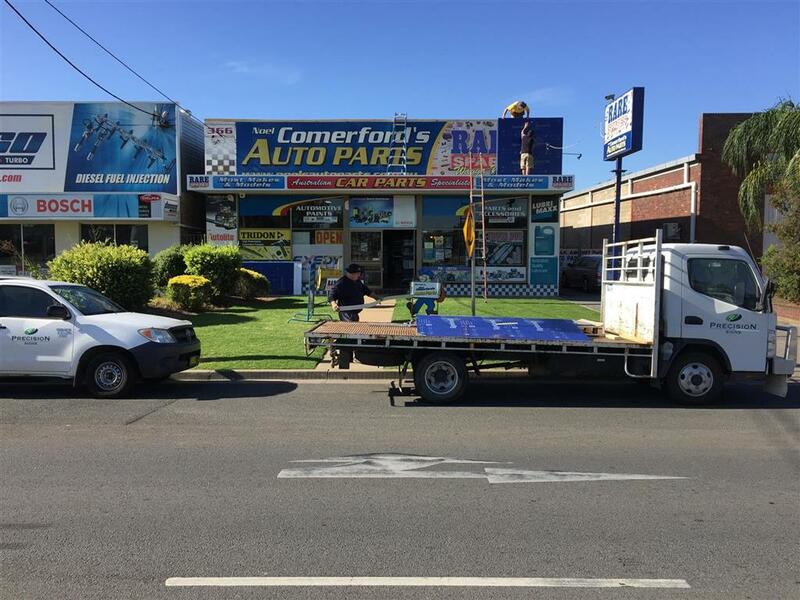 Recommendations from local sign makers Littlewood Signs we replaced the canvas product with high quality Aluminium sheets with a more durable longer lasting vinyl print. 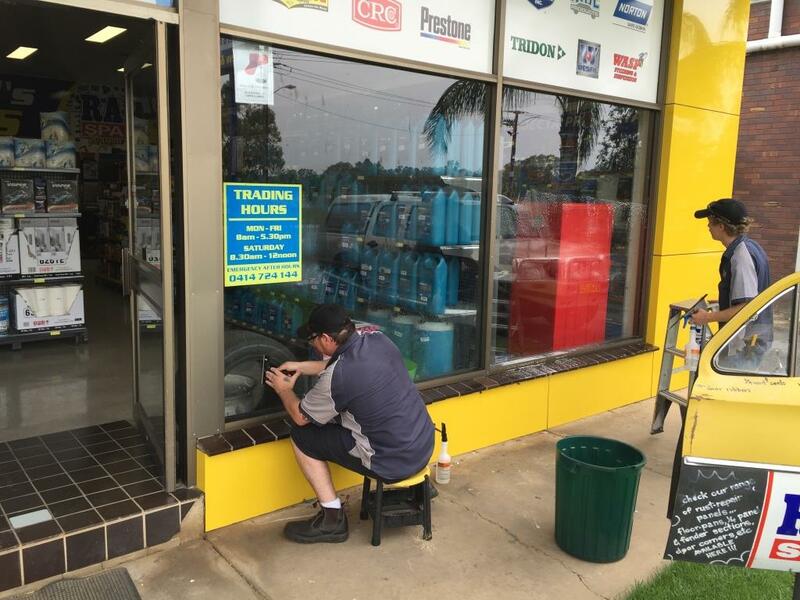 We would like to thank Steve and staff at Littlewood Signs for all their help to make the new shop front look as good as it does today! 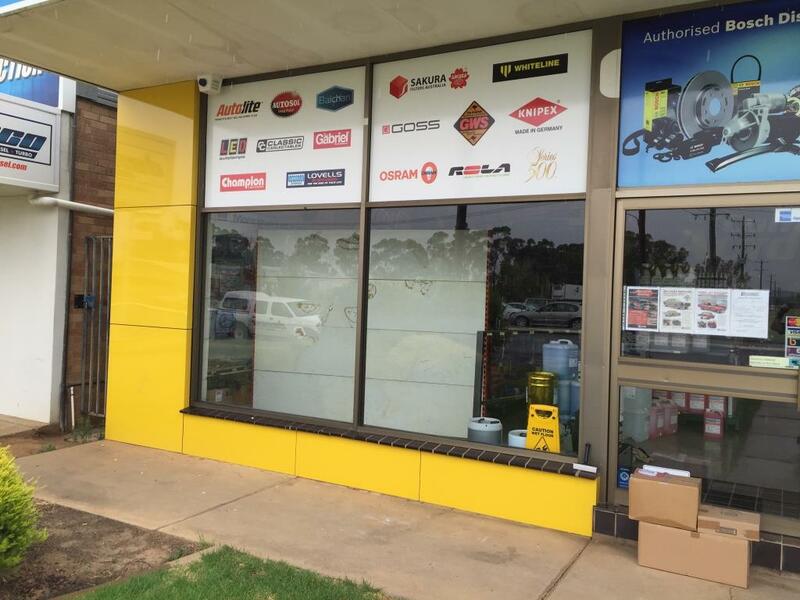 2005 New Store upgrade also available to view. 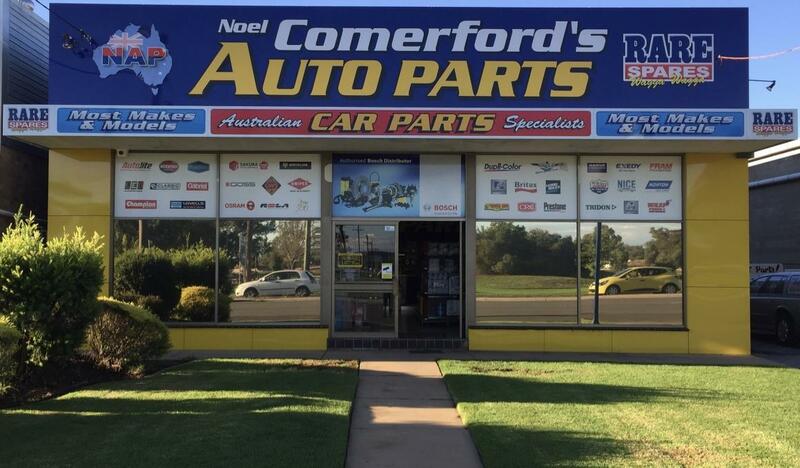 So if you're looking for automotive parts, paint or accessories, look no further than Noel Comerford's.